your hair from the rain without sweating it out!See how below. Shhh…we’ve got a secret weapon! 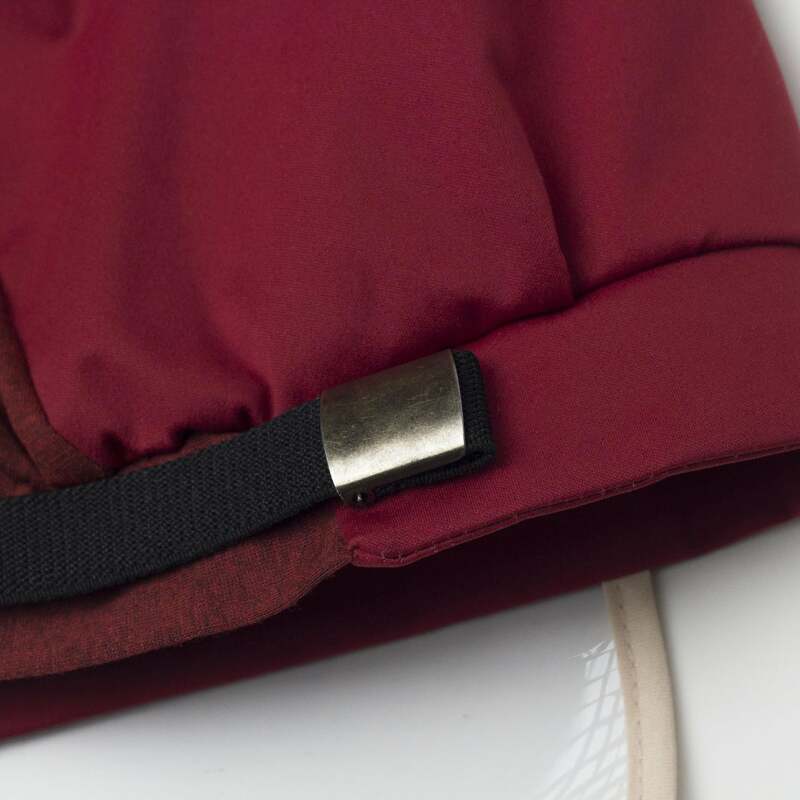 There’s a premium satin bonnet hidden inside. 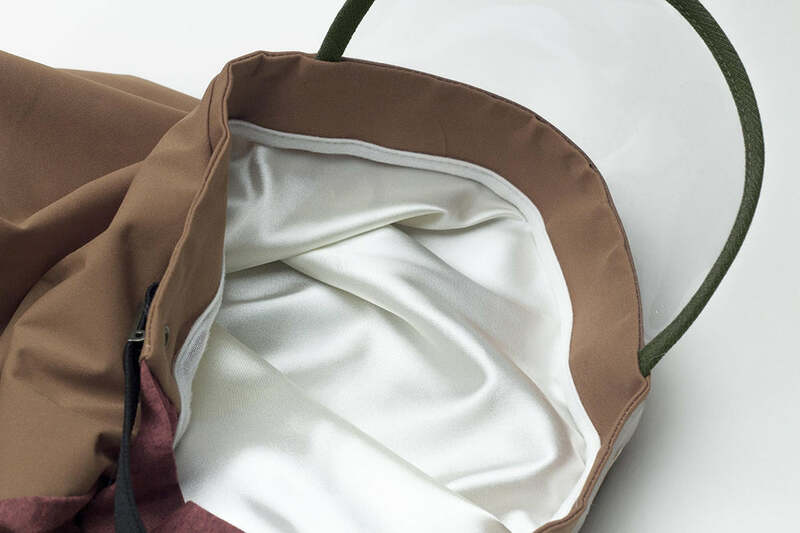 The satin-lined interior eliminates excess breakage and won’t dry your hair out and so your style stays intact. 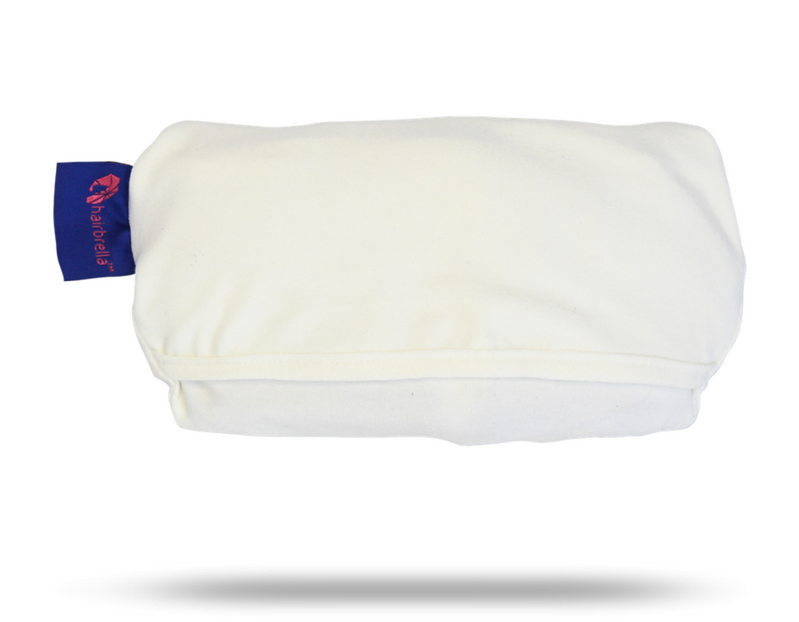 The Hairbrella has a built-in hidden pocket that folds into itself creating a pouch small enough to fit into your purse or glove compartment. Perfectly compact for the woman on the go! Flight deals can come at the drop of a dime and we have to make sure our bodies stay swimsuit ready. Don’t let a few clouds ruin your morning run! 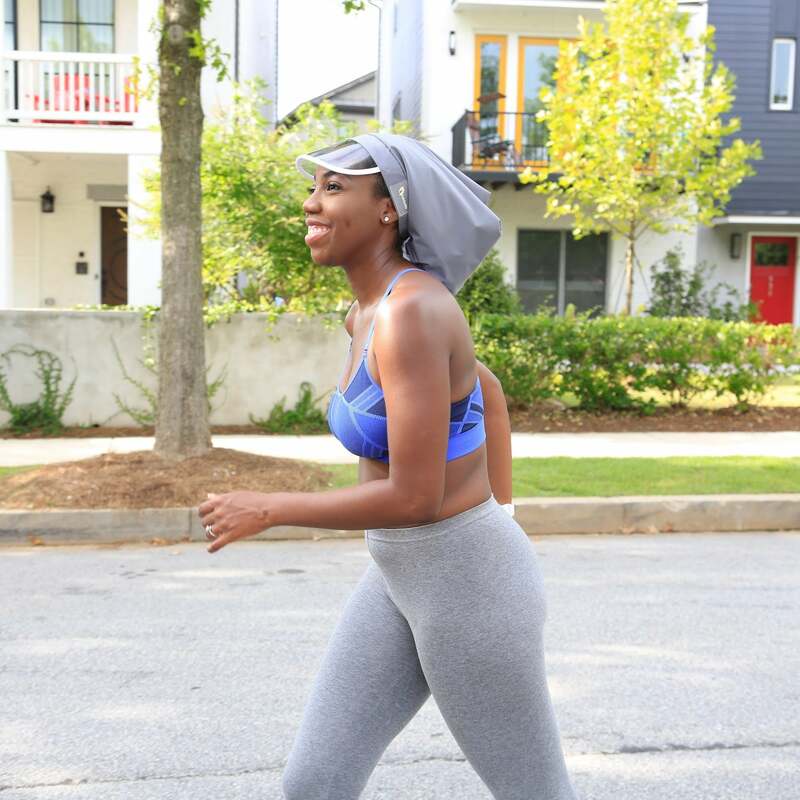 Grab your Hairbrella and break a sweat in satin-lined style. Nature is calling your furry friend and you don’t want him to ruin your new rug! 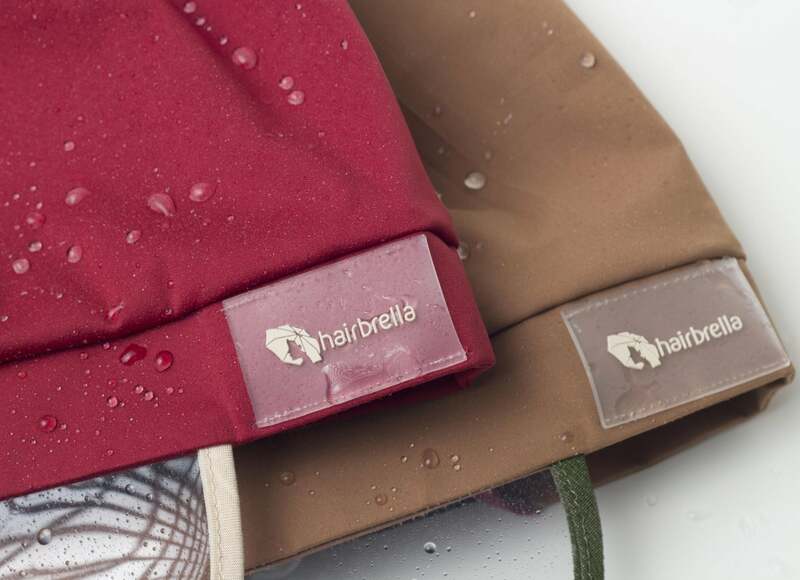 Drizzle or downpour, your Hairbella will keep your hair dry and your doggy happy. Million dollar meetings aren’t canceled because of a chance of rain. Show up with fierce confidence no matter the forecast with your Hairbrella in tow. Available in five different colors, we have the perfect shade to pair with your power suit!. This is the most fashionable rain hat ever created with you as our muse. You are confident, focused, and innovative so we created a product to reflect you. 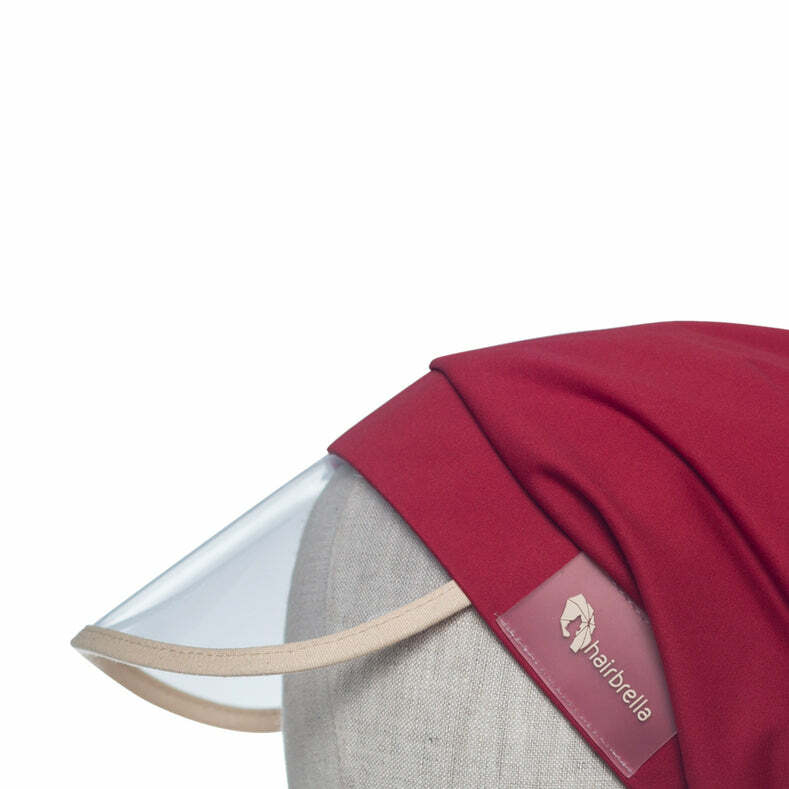 Our design is a necessary upgrade to the rain bonnets of old and plastic bags that are meant for groceries not hair. 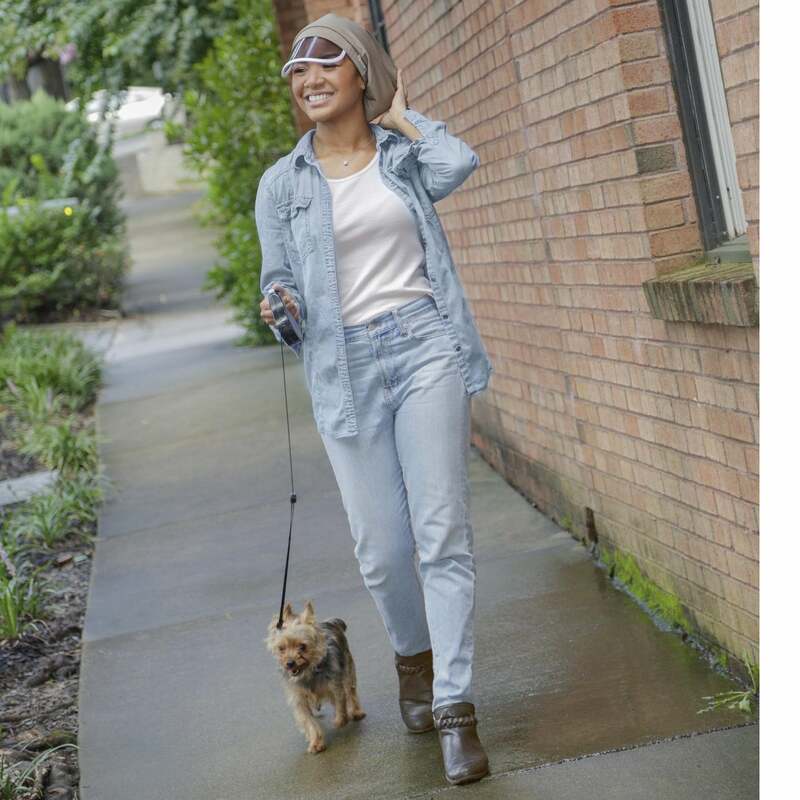 Every woman is a Hairbrella Woman and our unique combination of fashion and function is perfect for every lifestyle! We created the Hairbrella with you in mind with the highest quality standards. If you don’t absolutely love it within 30 days of your purchase, we'll return or exchange it at no cost to you.